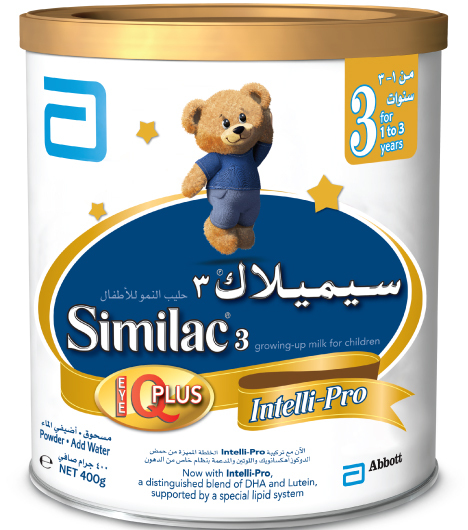 only Similac contains Intelli-Pro. Intelli-Pro is distinguished combination of the important nutrients DHA and Lutien. 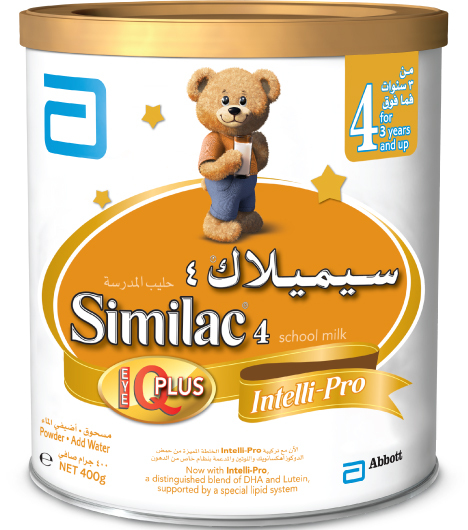 Now with more protien and less fat to fit nutritional needs of your child. Fortified with extra calcium* and a unique vegetable fat blend without palm olien oil. 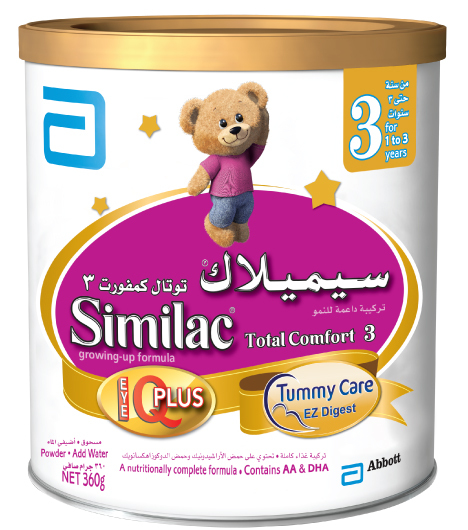 Total Comfort family contains the Tummy Care System, specially formulated to be Easy- to-digest on tiny tummies with the partially hydrolyzed 100% whey protein. Easy-to-digest vegetable fat blend with no palm olein oil. galactooligosaccharides(GOS) as a prebiotic in its formulation. Total Comfort Family contains the distinguished Eye-Q Plus system of nutrients, including AA, DHA, omega 3&6, taurine, choline, lutein, and iron, key building blocks for brain and visual development.